Valentine’s Day is still a week away, and all of my single pals are already sick of it. Everywhere (except this post) there are hearts and flowers, and proclamations to buy a bit of romance. I’m not going to discuss any of that schmaltzy stuff here. No siree. We’re gonna discuss the practical side of this Hallmark holiday. you’re coupled up or single, is advanced planning. If possible, send the kids out of the house, or put them to bed early. Plan a simple meal that can be reheated if #3 takes a while. If you’re single, I’ve got something fun for you too. This is the blog about MORE. Where were these things back when I was single? 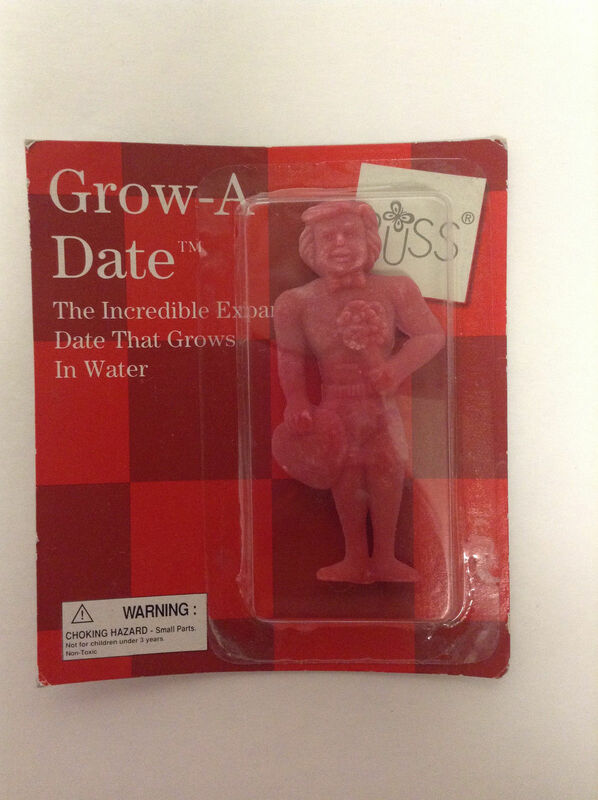 The Russ Grow-A-Date Male is available at eBay for $2.95. (I got a male and a female at the local drug store for $2 each.) That’s cheaper than a rose or a box of chocolates! Place friend in room temp water. Remain Untouched in water for several hours for full growth. slowly shrinks to the smaller size when removed from water. Your friend can be grown over and over again!! I tell ya, these have it all over trying to force a date, especially in a new relationship (see below). The entertainment value alone is tremendous. Way better than a Chia pet. No worrying about said date wandering off (or leaving you). No obnoxious texts before or after. No emotional drama – y’all remember Alicia and “Get Off Me,” right? Increases to 600% it’s normal size when wet (that part could be scary). You can do whatever you want for Valentine’s Day. The “no poaching” rule doesn’t apply – feel free to share with your pals. No crowds, unless you and your friends decide to “grow” together. 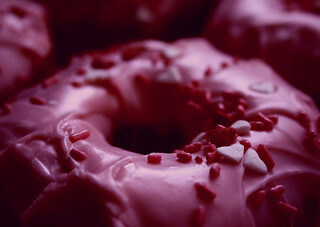 What are your plans for V-Day this year? Do you celebrate or ignore it? What about your best/worst Valentine’s Day ever? Enquiring minds LOVE to know these things here at More Cowbell! This entry was posted in Holidays, Humor and tagged Jenny Hansen, relationships, singles, Valentine's Day. Bookmark the permalink. 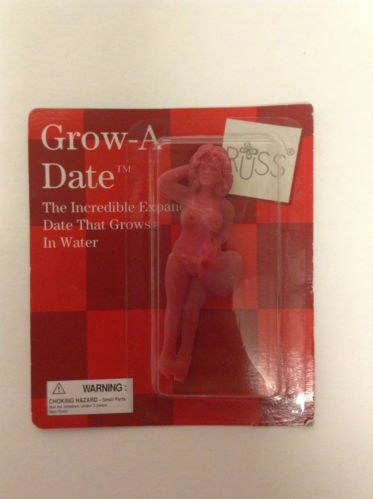 I LOVE the grow a date sponge! This year we made a reservation for four in the mountains because our daughter will most likely bring a friend! She has her eye on two boys, but will probably bring a girlfriend. It will be fun! You’re going to have a great time, Susie! And does it trip you out that your daughter is old enough to have her eye on two boys? I get the sweats just thinking about those days coming up in my future…. She’s 22 and has had her eyes on the boys since I can remember! I love the video and I wish you’d written this post back when I was single; I would so have appreciated it! That video slayed me, Kit! She’s all, “Maybe we’ll go to Paris!” And he’s like, “No, I don’t think she’s expecting anything.” LOL. For the first time in a while, hubs and I are going for the “dining suicide” as you call it. But we did make reservations at an Italian place we like but haven’t gone to in a while. I’m getting cabin fever around here, and we have older kids who don’t reliably stay in bed IYKWIM. Hope you have a fun V Day, Jenny! BAHAHAHA! I love that dry humor of yours. I’ve never had one of those sappy Valentines days. My bf is usually “off” planet on a 3-6 week dive trip, and I’m home with my (not his) kids. I wouldn’t know what to do with the pressure of the day. Ick. I’m with you on the unholy pressure of Hallmark holidays! We actually don’t celebrate V-day, usually, but it falls on a 3-day weekend this year. We’d be doing something special together regardless of the date on the calendar! The only custom that must be kept on Valentine’s Day? Chocolate. We’ve never gone out on V day–but we usually have a nice dinner at home. I liked doing things for the kids when they were little…heart shaped cake, pink heart napkins etcetera. I do love hearts though, so I’ll decorate (even if just for myself). The best part for me? My guy makes dinner. He only does that a few times a year, so it’s very special. You know, it really is the little things that can mean the most! I’ve never gotten a card from hubby for ANY occasion. I get flowers for everything but never a card. Sometimes I get jewelry. Those are the two standards. No surprises after all these years. At least he remembers. 🙂 I saw the vid above and laughed. Single or married, guys just want the cookie. I am so glad I am across from a Hallmark store at work and there are enough bodegas that sell great bouquets of flowers on the way home! Getting naked is always on the agenda! Please, Phil. You WRITE NAKED. That card and those flowers are a smart move so she knows the Valentine’s naked is special (since you’re au naturel as a rule). Writing a new post on an amazing spot we just ate at last night while eating bagels naked! I’m going to be alone on Valentine’s Day. Was going to ask my acupuncturist for a date but over-thought and chickened out. I dunno, maybe fear of rejection or having her wind up in a long list of unattainable women in my life. Happy Valentine’s Day to all of you have somebody. Tom, you’ve got a whole week if you change your mind. When I was single, I’d usually either go out with my single pals, or babysit for my friends that had small children. It made me happy to pay it forward on a day when i didn’t have a lot going on.